Have a hankering to hit the road? 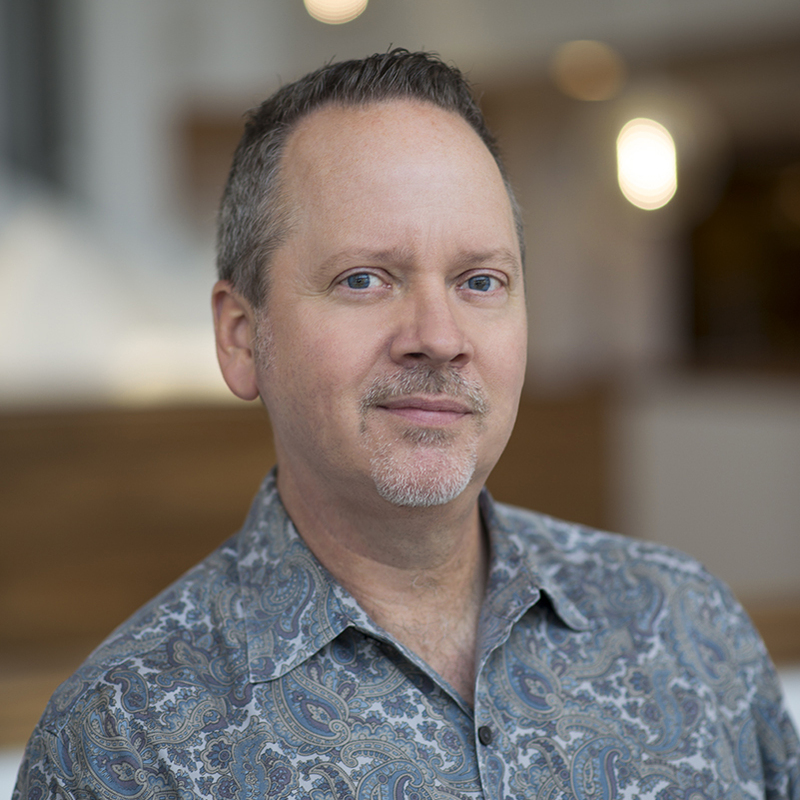 Are you limited by funds, gas or other woes? A short jaunt or day trip is just what the doctor ordered. All we ask is a postcard, or perhaps a nice souvenir. (Please send all fun treats here, to Parthenon Publishing HQ in Belle Meade, where we’ve measured all the distances below from). 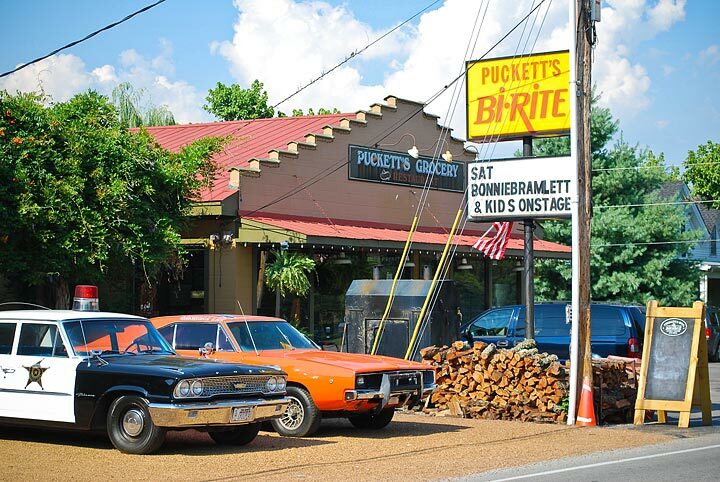 It’s tiny, it’s been around for a while and it’s where you go if you adore Puckett’s downtown but have a hankering for the original. Leiper’s Fork was settled in the late 1700s, though in more recent years it’s become a stomping ground for movie stars and musicians — like former West Tennessee boy Justin Timberlake — not to mention some snazzy boutiques, B&Bs and the glorious Yeoman’s In The Fork bookstore. Photo courtesy Smithville Fiddler’ Jamboree & Crafts Festival. Still yearning for the peace and quiet of country life? 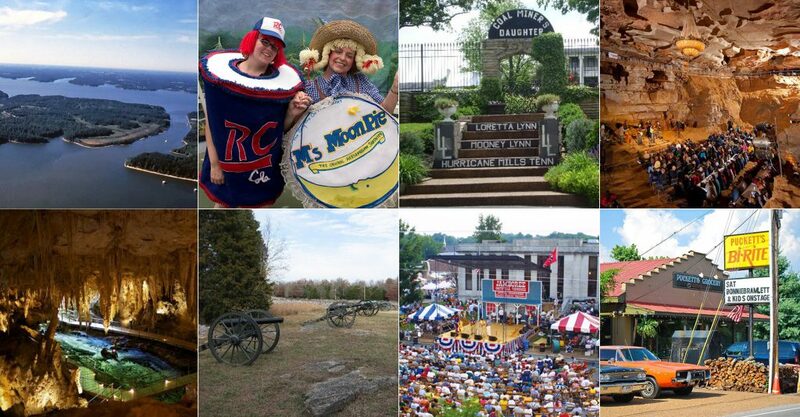 Venture on out to Smithville, then, and enjoy everything from serious country cooking to the many offerings at Tennessee Tech University’s Appalachian Center for Craft. Aquatic-minded visitors can while away an hour (or day) at nearby Center Hill Lake. 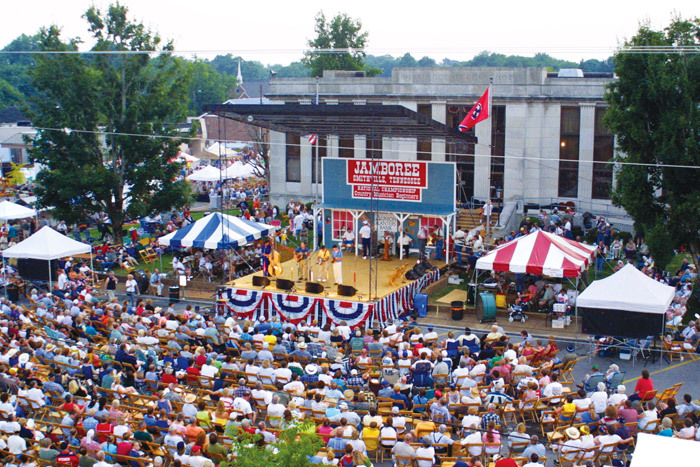 If you need lots of music and people to make your visit complete, go during the Fiddlers’ Jamboree & Crafts Festival, which has been keeping Appalachian traditions alive and well every summer since 1971. Photo courtesy The University of The South. 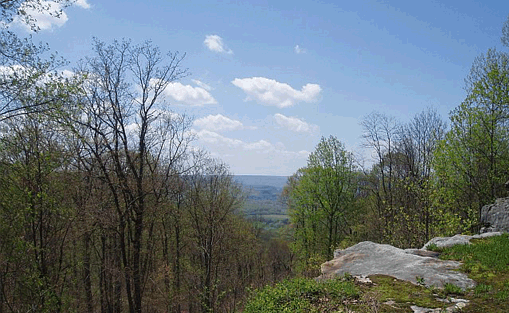 Yes, there’s a university there, and a good one, but Sewanee offers ever so much more, including 50 miles of trails along the Cumberland Plateau for both new and experienced hikers (the Perimeter Trail is highly recommended). There’s plenty of great dining to be had, as well as places to stay for a day or two. And if in fact that particular university is a point of interest, then the Festival of Lessons and Carols in its All Saints’ Chapel is a don’t-miss to kick off the holiday season every year. Photo courtesy Bell Buckle Chamber of Commerce. No more need be said about tiny, plucky Bell Buckle (pop. 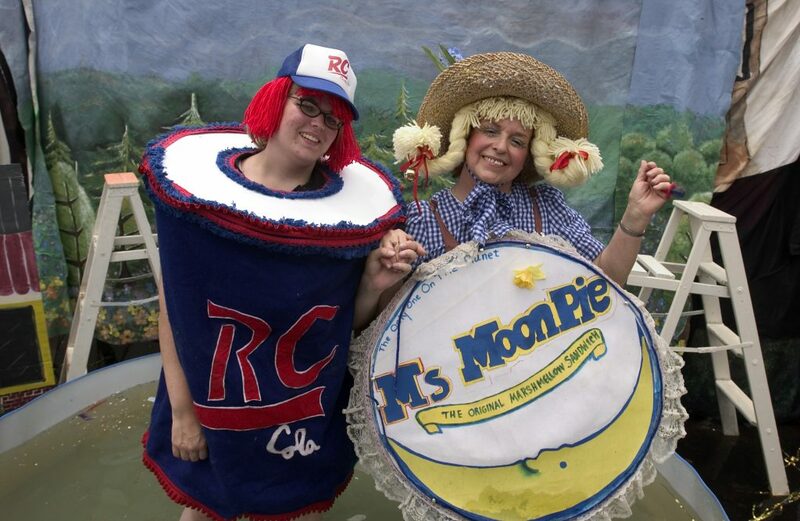 405) than the fact that it plays host to the annual RC & MoonPie Festival every third Saturday in June. Begun to celebrate MoonPie’s 75th anniversary in 1994, and also as way to expand the party from the Atlanta Olympic games just down the road, it puts a Tennessee spin on all that athleticism. Plus, MoonPies. All the flavors. Tired of topography? Then roll up to Kentucky and wander down into Mammoth Cave, which got national park status in 1941 and is a swell way to cool off on a hot day. It’s also narrow and dark — it’s a cave, people — so if claustrophobia’s an issue, just stay outside and read the brochure. So how big is it? So far, they’ve explored 405 miles of passages and chambers, with no end in sight, so we recommend staying with your tour group. The gloriously named Fat Man’s Misery. Back on the planet’s surface and just a short drive from Mammoth Cave are the Diamond Caverns. 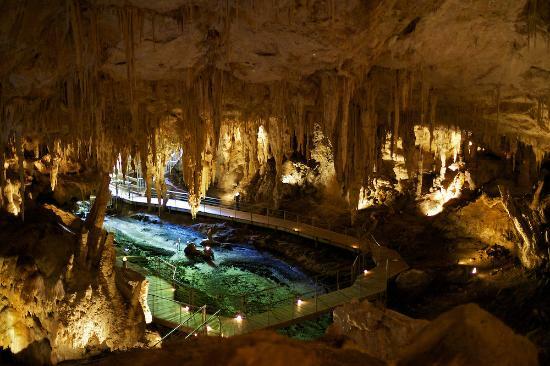 Both a World Heritage Site and International Biosphere Reserve, the caverns were discovered in 1859 and have been dazzling ever since. Lights bounce off the calcite deposits (You didn’t think they were really diamonds, did you? ), and the stone drapery along the cave halls come in lots of colors beyond … well, beyond your typical diamond colors. There are tours throughout the day, but with a 350-step climb involved, the caverns aren’t for those who tucker out easily. 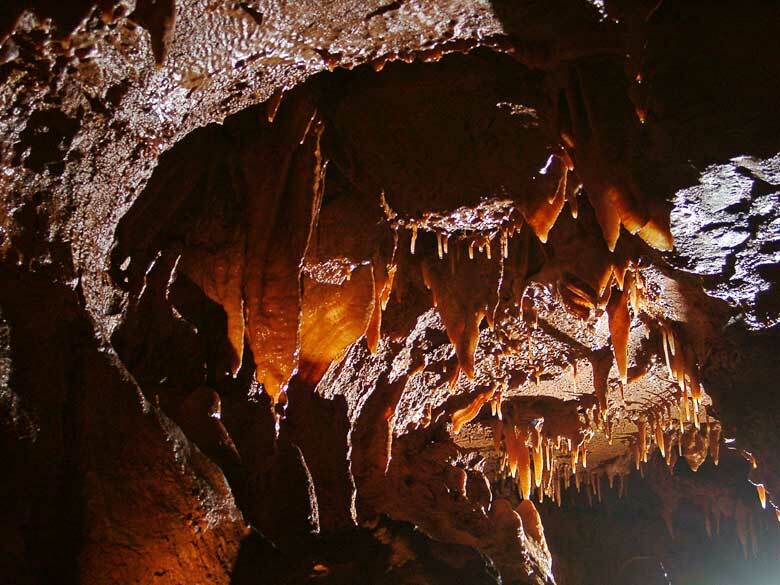 Go east to McMinnville and trudge down into Cumberland Caverns, a show cave found in 1810 (the 19th century seems to have been quite the era for finding caves) by land surveyor Aaron Higgenbotham. There are more than 32 miles of caves and offshoots, as well as large rock formations, huge rooms, underground waterfalls and dark pools. There are tours aplenty: regular ones during the day, spelunking ones and even an overnight option. The caverns also book out for weddings and birthday parties (yes! ), and the monthly Bluegrass Underground concert is held in the …wait for it … Volcano Room. OK, we cheated on this one: from some places in Nashville, it’s a little over 100 miles, but the extra’s worth it. 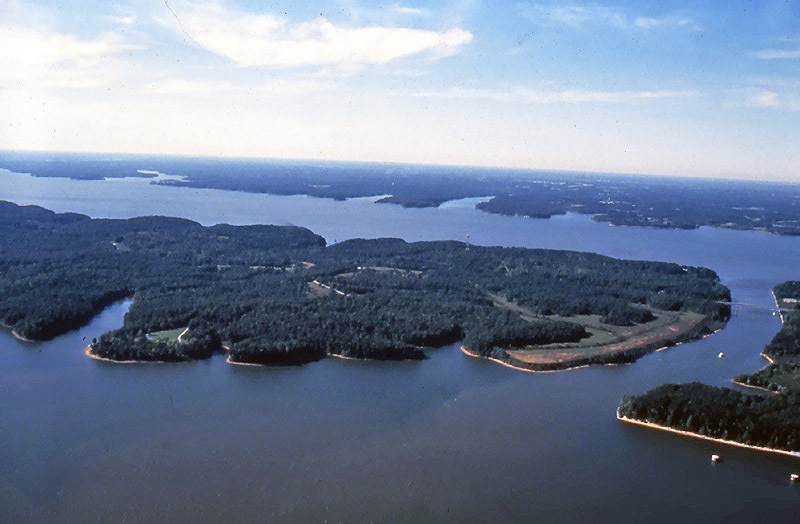 The Land Between the Lakes National Recreation Area is 170,000 acres straddling western Kentucky and Tennessee. It’s pretty much undeveloped — dense forest, wetlands and open lands, not to mention 300 miles of unspoiled shoreline. Birders flock here for the 240 different species living in the area during the year, and the picnicking, camping, hiking, boating and fishing are plentiful. Want more? There are 500 miles of trails for biking, hiking, horseback and off-road riding. 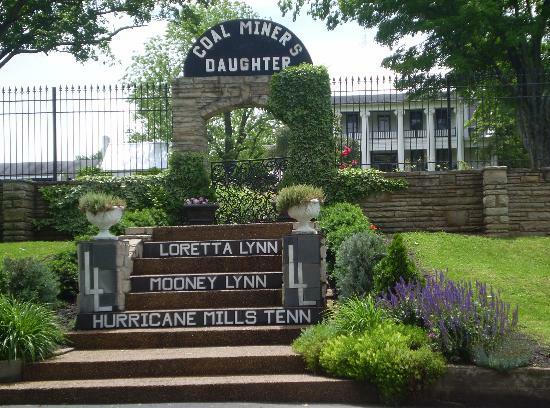 Don’t believe there’s much coal in Hurricane Mills, but Loretta Lynn was nice enough to transport enough of her past there so’s you might not notice. It’s a ranch, it’s her home and she built a museum packed to the rafters with a career’s worth of awards and memorabilia. There’s the Butcher Holler cabin, the Native American Artifact Museum, Grist Mill Museum and Loretta’s Fan & Doll Museum. Lodging ranges from the RV park to tents and cabins, and there are paddle boats and canoes for those who wish to indulge in the water. 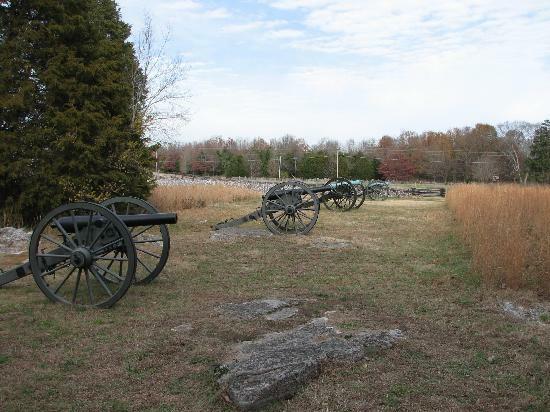 Tennessee does a booming business in Civil War tourism, and it’s not hard to see why when visiting a site like the Stone River National Battlefield park. The grim history of the place is outlined by park rangers, (sometimes) history re-enactors and trained volunteers, and you can organize your own walk as well. There’s not much left, but part of Fortress Rosecrans, the largest enclosed-earth fort from the Civil War can be see, and just outside the Stones River National Cemetery is the Hazen’s Brigade Monument, which was put up in 1863 and is the oldest American Civil War monument still standing in its original site. Try a wine tasting in the farmhouse-turned-tasting-room, or pack a picnic and enjoy the view of rolling hills. 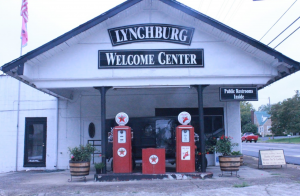 Lynchburg may be in a dry county, but residents love their Jack Daniel’s. 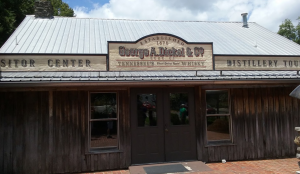 The famous Tennessee Sour Mash whiskey (don’t you dare call it bourbon) is made here and the distillery tour is a delight, even for teetotalers. Located in Cascade Hollow, the fresh water that runs from Cascade Springs is the same that ran over the limestone shelf of the Cumberland Plateau when the distillery was built in 1878. Tour it and taste their “whisky” (that’s no “e” whisky, folks) for an off-the-beaten-path look at Tennessee spirits.